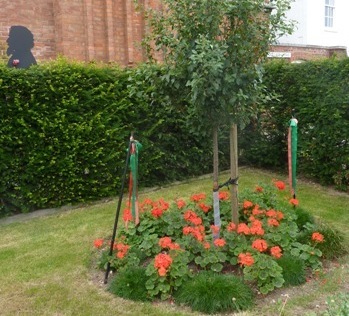 The planting scheme now features a bed of red geraniums, one of his favourite flowers, which the Friends planted later in the season. A silhouette of Dickens is behind. The tree is the Shropshire Prune (Damson) which was kindly donated by Penny and Richard Russell and planted on 10 February 2011. It has grown well. Dr Ann Coats led a tour of the Porter's Lodge and Garden. 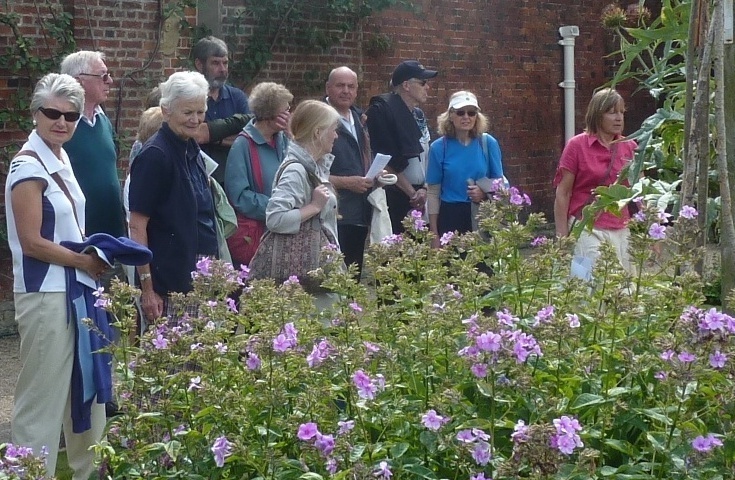 Ann spoke about the Garden and the porters who lived in the lodge and worked in the dockyard.